Hermann Kermit Warm is going to die: Eli and Charlie Sisters can be counted on for that. Though Eli has never shared his brother’s penchant for whiskey and killing, he’s never known anything else. On the road to Warm’s gold-mining claim outside San Francisco -- and from the back of his long-suffering one-eyed horse -- Eli struggles to make sense of his life without abandoning the job he's sworn to do. Patrick DeWitt, acclaimed author of Ablutions, doffs his hat to the classic Western, and then transforms it into a comic tour-de-force with an unforgettable narrative voice that captures all the absurdity, melancholy, and grit of the West -- and of these two brothers, bound to each other by blood and scars and love. 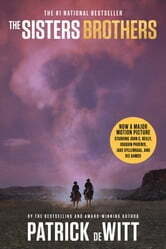 In Sisters Brothers DeWitt has created a thoroughly enjoyable Western that suits a contemporary reader. 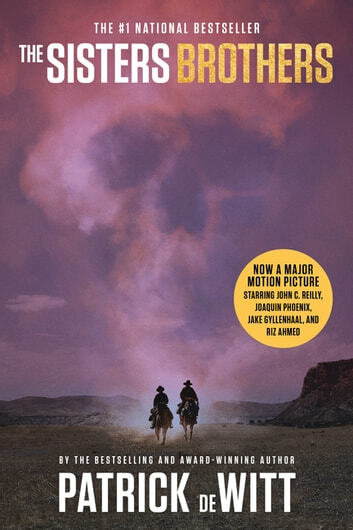 The Sisters brothers are a duo that I was easily able to picture and set in the time and world that DeWitt creates in the novel, and I found myself recalling them and their mis(adventures) long after I finished the book. This is a novel not for the faint of heart. My only wish is that it had been longer. A really odd book. No beginning or end. Just a middle. Very entertaining - from the very first page to the last. I found myself laughing out loud many times !! !